Researchers from North Carolina State University, UNC-Chapel Hill, and other institutions have taken the first steps toward creating a roadmap that may help scientists narrow down the genetic cause of numerous diseases. Their work also sheds new light on how heredity and environment can affect gene expression. The study was published online April 13th 2014 in Nature Genetics. A release from North Carolina State explains that pinpointing the genetic causes of common diseases is not easy because multiple genes may be involved with a disease. Not only that, but disease-causing variants in DNA often do not act directly. Instead, they activate nearby genes. To add to the complexity, genetic activation is not like a simple on/off switch on a light. It behaves more like a "dimmer switch". Some people may have a particular gene turned all the way up, while others have it only turned halfway on, completely off, or somewhere in between. And different factors, such as DNA or the environment, play a role in the dimmer switch's setting. The release quotes Fred Wright, NC State professor of statistics and biological sciences, director of NC State's Bioinformatics Center and co-first author of the study, as saying, "Everyone has the same set of genes. It's difficult to determine which genes are heritable, or controlled by your DNA, versus those that may be affected by the environment. Teasing out the difference between heredity and environment is key to narrowing the field when you're looking for a genetic relationship to a particular disease." Wright, with co-first author Patrick Sullivan, Distinguished Professor of Genetics and Psychiatry at UNC-Chapel Hill and director of the Center for Psychiatric Genomics, and national and international colleagues, analyzed blood sample data from 2,752 adult twins (both identical and fraternal) from the Netherlands Twin Register and an additional 1,895 participants from the Netherlands Study of Depression and Anxiety. For all 20,000 individual genes, they determined whether those genes were heritable – controlled by the DNA "dimmer switch" – or largely affected by environment. "Identical twins have identical DNA," Wright explains, "so if a gene is heritable, its expression will be more similar in identical twins than in fraternal twins. This process allowed us to create a database of heritable genes, which we could then compare with genes that have been implicated in disease risk. 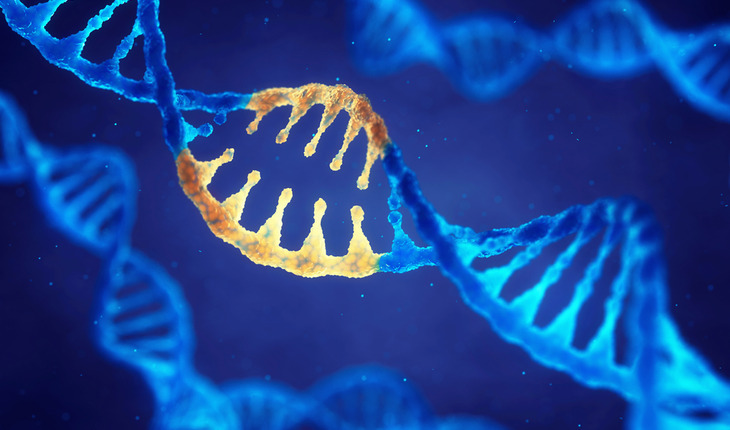 We saw that heritable genes are more likely to be associated with disease – something that can help other researchers determine which genes to focus on in future studies." "This is by far the largest twin study of gene expression ever published, enabling us to make a roadmap of genes versus environment," Sullivan says, adding that the study measured relationships with disease more precisely than had been previously possible, and uncovered important connections to recent human evolution and genetic influence in disease. The Netherlands Twin Register has followed twin pairs for over 25 years and in collaboration with the longitudinal Netherlands Study of Depression and Anxiety established a resource for genetic and expression studies. Professor Dorret Boomsma, who started the twin register, says, "in addition to the fundamental insights into genetic regulation and disease, the results provide valuable information on causal pathways. The study shows that the twin design remains a key tool for genetic discovery." Blood samples from the Netherlands were processed by the NIMH Center for Collaborative Genomics Research on Mental Disorders at Rutgers University. NC State research scholar Yi-Hui Zhou and associate professor of statistics Jung-Ying Tzeng contributed to the work. Funding for the study included grants from the National Institute of Mental Health and other NIH Institutes, the Gillings Innovation Lab, the Netherlands Organization for Scientific Research, the Center for Medical Systems Biology, Biobanking and Biomolecular Resources Research Infrastructure, and the European Science Foundation and European Research Council.